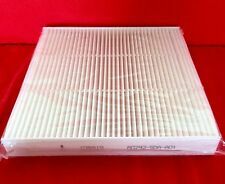 193 product ratings193 product ratings - For HONDA ACCORD CABIN AIR FILTER Acura Civic CRV Odyssey C35519 HIGH QUALITY!! 2011-2015 Lexus CT200H. 2007-2015 Lexus ES350. 2013-2015 Lexus ES300H. 2006 Lexus GS300. 2007-2011 Lexus GS350. 2007-2011 Lexus GS450H. 2010-2015 Lexus GX460. 2010-2012 Lexus HS250H. It perfectly fits : 2012 - 2014 CRV with 2.4L engine only. Super Value Combo Set! WE ARE HAPPY TO ASSIST YOU CHOOSE THE RIGHT FILTER FOR YOUR CAR 24/7. We are always here to help you 24/7. We also have lots of high quality filters for your another cars in affordable price with high quality. AF5403 ENGINE AIR FILTER. 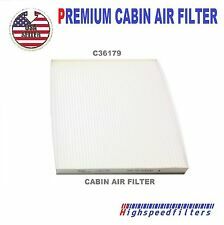 C45459 CABIN AIR FILTER. 01-06 ACURA MDX. ENGINE AIR FILTER AND CABIN AIR FILTER. It perfectly fits : 03-08 HONDA PILOT. WE ARE HAPPY TO ASSIST YOU CHOOSE THE RIGHT FILTER FOR YOUR CAR 24/7. Combo Set Engine and cabin filter! NISSAN PART NUMMBER: 16546-3TA0A. Cross Reference number for this AF6297. LEXUS CT200h. Not for the Prius C model. TOYOTA PRIUS V. Engine air filter and Cabin air filter. Combo Set! ENGINE AIR FILTER AF6114 AND C35667. WE ARE HAPPY TO ASSIST YOU CHOOSE THE RIGHT FILTER FOR YOUR CAR 24/7. 2015-2018 HYUNDAI SONATA. THE NEWEST SONATA 2.4L ENGINE ONLY. ENGINE AIR FILTER AND CABIN AIR FILTERFOR. WE ARE HAPPY TO ASSIST YOU CHOOSE THE RIGHT FILTER FOR YOUR CAR 24/7. We are always here to help you 24/7. 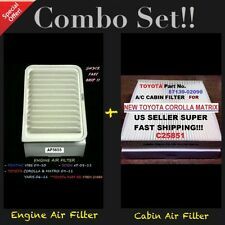 CABIN & ENGINE AIR FILTERFOR TOYOTA VEHICLE. WE ARE HAPPY TO ASSIST YOU CHOOSE THE RIGHT FILTER FOR YOUR CAR 24/7. We also have lots of high quality filters for your another cars in affordable price with high quality. It fits CHEVY CRUZE 2011-2016 ENGINE 1.4L ONLY! Combo Set! WE ARE HAPPY TO ASSIST YOU CHOOSE THE RIGHT FILTER FOR YOUR CAR 24/7. WE ARE HAPPY TO ASSIST YOU TO CHOOSE THE RIGHT FILTER/PART FOR YOUR VEHICLES. AF 5698&C35516. It fits Toyota Prius (2004-2009). ENGINE AIR FILTER AND CABIN AIR FILTER. WE ARE HAPPY TO ASSIST YOU CHOOSE THE RIGHT FILTER FOR YOUR CAR 24/7. We are always here to help you 24/7. 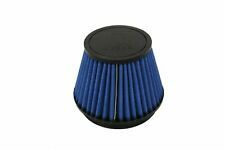 We also have lots of high quality filters for your another cars in affordable price with high quality. 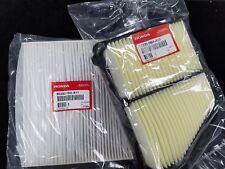 Premium Engine Air Filter for Interchange PART NUMBER: 17220-5A2-A00. 2016 - 2017 HONDA CIVIC 2.0L (NON TURBO). ENGINE AIR FILTER CABIN AIR FILTER. We are always here to help you 24/7. We also have lots of high quality filters for your another cars in affordable price with high quality. 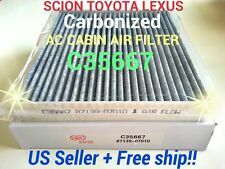 ENGINE AIR FILTER And CARBONIZED Cabin Air filter -AF6166 AND C 35660C FOR :-. -Forte 2014-2015 1.8L and 2.0L only. -Forte Koup 2014-2015 1.8 and 2.0l only. - Elantra 11-12 (1.8L engine only). -Elantra 13-16. 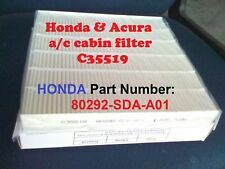 Up for sale is a pair of filters for the 2015 to 2016 Honda CR-V. 1 engine air filter and 1 in cabin micron filter. 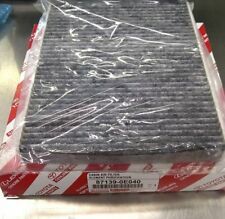 80292-SDA-407 (IN CABIN AIR FILTER). We are a Honda new car dealer with over 30 years in the Baltimore Maryland market. Scion xD (2008 - 2015). 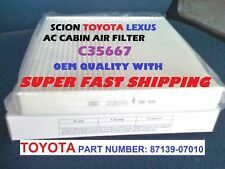 FOR TOYOTA SCION VEHICLES Toyota Corolla & Matrix (2009 - 2017) 1.8L. Yaris (2006 - 2015). Pontiac Vibe 1.8L (2009 - 2010). PREMIUM ENGINE AIR FILTER. It fits 2015 - 2017 Hyundai Sonata. 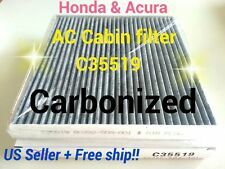 CHARCOAL CARBON CARBONIZED TYPE CABIN AIR FILTER. Not for Hybrid model! Don't risk yourself buying the cheap price & get the cheap quality which is too thick edge & hard to install. It perfectly fits : 2016 - 2017 CIVIC 1.5L turbo. Engine air filter Cabin air filter. WE ARE HAPPY TO ASSIST YOU CHOOSE THE RIGHT FILTER FOR YOUR CAR 24/7. We are always here to help you 24/7. We also have lots of high quality filters for your another cars in affordable price with high quality. > 2014-2016 Mazda6. --> 2014-2016 Mazda3. A/C CABIN AIR FILTER. WE ARE HAPPY TO ASSIST YOU CHOOSE THE RIGHT FILTER FOR YOUR CAR 24/7. We are always here to help you 24/7. We also have lots of high quality filters for your another cars in affordable price with high quality. Fits the following Honda and Acura vehicles 2014-2017 Acura MDX. 2007-2016 Acura RDX. 2004-2014 Acura TSX. 2013-2016 Acura ILX (including 2013 hybrid). 2004-2008 Acura TL. Cross Reference number for this AF4878. - Expedition(97-08). - Mustang(96-04). Lincoln - Continental (95-02). It fits Ford - Econoline Series Van(97-15). FORD Part Number: F50X-6301-AB. Not for the Diesel engine! WE ARE HAPPY TO ASSIST YOU CHOOSE THE RIGHT FILTER FOR YOUR CAR 24/7. We are always here to help you 24/7. 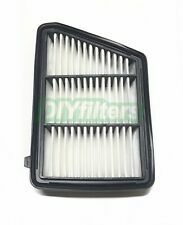 We also have lots of high quality filters for your another cars in affordable price with high quality. These fit 2007-2017 Toyota Camry 4 cylinders & 2009-2016 Toyota Venza 4 cylinders. WE ARE HAPPY TO ASSIST YOU CHOOSE THE RIGHT FILTER FOR YOUR CAR 24/7. We are always here to help you 24/7. We also have lots. 2017 HONDA RIDGELINE. It perfectly fits : 2016-2017 Acura MDX. 2016-2017 HONDA PILOT. WE ARE HAPPY TO ASSIST YOU CHOOSE THE RIGHT FILTER FOR YOUR CAR 24/7. ENGINE AIR FILTER. We are always here to help you 24/7. 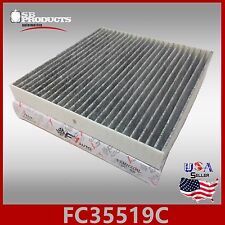 Engine and Cabin Air Filter fits 2014-2015 Acura MDX. ENGINE AIR FITLER AND CABIN AIR FILTER. WE ARE HAPPY TO ASSIST YOU CHOOSE THE RIGHT FILTER FOR YOUR CAR 24/7. We are always here to help you 24/7. 2015-2017 HYUNDAI SONATA. THE NEWEST SONATA 2.4L ENGINE ONLY. COMBO SET FOR. PREMIUM ENGINE &CARBONIZEDCABIN AIR FILTER. Air filters, also known as air cleaners, are essential parts that keep your vehicle running properly. Both the cabin and engine filters should be changed regularly to optimize your car’s performance and keep your car’s air clean. Choosing the right air filter for your car or truck is essential for it to function properly. Engine filter: This keeps harmful elements such as dirt and debris from entering your car’s intake. 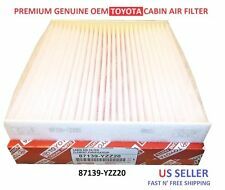 Cabin filter: This keeps dust, mold, dirt, and other particles from entering your car’s heating and air conditioning systems. How often do you need to change a car’s filters? A fresh engine air filter will keep your intake working properly. This can improve your car or truck’s efficiency and overall performance. A clean cabin air cleaner will keep your cabin air fresh. To keep your vehicle performing at its peak, filters should to be changed every 15,000 to 30,000 miles. If you drive your car or truck on unpaved roads or live in an area with poor air quality, you may need to change the filters more often. Your car’s service manual will also have guidelines for how often to change the filters. How do you choose the correct air filter? Filters are custom fit to the make and model of your car or truck. 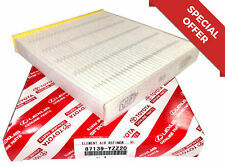 Choose the replacement filters that are designed to fit your particular make and model. Your car’s service manual will have the specifics as to what air filters your vehicle needs. 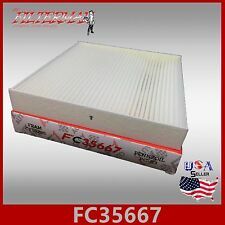 How do you change the cabin air filter? The exact location of your cabin air cleaner depends on the make and model of your car or truck. Typically, they are found in the glove compartment or beneath the dashboard. These filters can be replaced without using any tools; you simply pull out the old filter and insert the new one. Occasionally, cabin filters are under the hood, and to access it you may need to remove parts, such as wiper blades or the washer bottle. Your car’s service manual will give you the exact location of the cabin air filter, which may also be referred to as an air cleaner or filtration system. How do you change the engine air filter? Open the hood and locate the air filter housing. Take off the top of the housing.